For public sector employees, the end of the fiscal year means a flurry of purchases as government agencies face a “use it or lose it” situation with their budgets. Many allocate contingency funds and when that money is still unused by September, decisions need to be made quickly. According to the National Bureau of Economic Research, federal government spending between September 20-30 is 4.9x higher than the weekly average for the rest of the year. As a result, the end of the budget cycle sees lots of activity, research, and spending justification. Coincidentally, this often falls near Dreamforce, the biggest Salesforce event of the year. 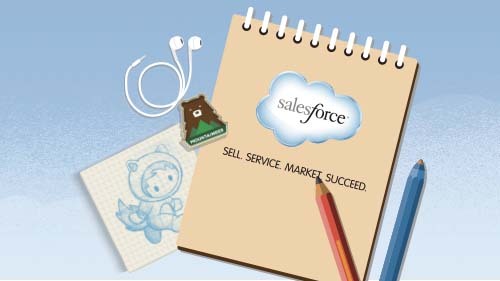 But instead of seeing your participation in the conference as time spent away from budget planning, use it as a unique opportunity to discover how other Trailblazers in government are modernizing and transforming with Salesforce so that you can better plan for the coming year. With those questions in mind, you can attend Dreamforce with a clear goal. And whether you're a C-level executive or an individual contributor, Dreamforce has more than 2,700 breakout sessions, keynotes, hands-on demos, trainings, and certification opportunities, which provide the gateway to impactful discussions for any agency and role. 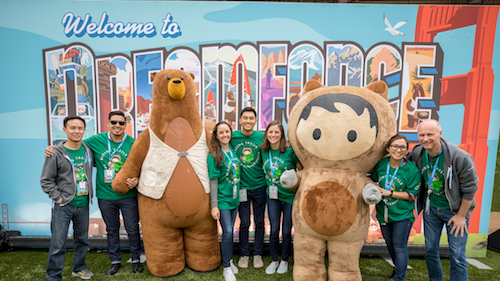 Year after year, public sector attendees use Dreamforce as a chance to get to know the Salesforce community and learn best practices from people and companies who face the same challenges that they do. Connecting with others in government about their path to success can help provide a roadmap to digital transformation by visualizing what’s possible with the platform. For instance, the Salesforce Platform for Government can provide the balance between mission-driven strategy and scalability. Our Vice President of Government Strategy, Todd Schroeder, said in a recent article in FCW, “I think we’re seeing a big shift right now of putting the customer at the center of what we do.” He added that “customer” can mean a citizen, state agency, federal employee, or other partners. In spite of the nature of business this time of year for public sector workers, you can still get the most out of your Dreamforce experience by planning ahead. Here are three key insights we picked up from past conferences to help prepare you for a super-charged week. Prioritize your time. There will an overwhelming amount to do and see at Dreamforce. To make the most of your time, connect with your account executive early on your schedule. They can introduce you to other government attendees and assist in mapping out a plan that makes the most of your trip to San Francisco. Do your research. Check out the Dreamforce agenda before your trip and block your calendar with all the sessions you don’t want to miss, as well as any high priority meetings related to your budgetary decisions. If you still need to squeeze in work meetings, schedule them around lunches and breaks. Network, network, and network some more. Dreamforce is a great chance to network with others in your industry, so dedicate time for uninterrupted talk with fellow attendees. Collect business cards, take notes, and follow up on social media. Especially during the government buying cycle, the insights gained from key relationships could be helpful for allocating budget successfully. Use your resources. 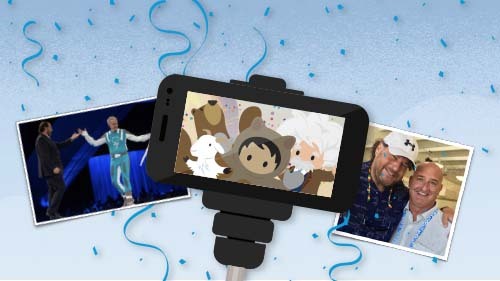 In addition to the people you'll meet, there are plenty of resources available to ensure you maximize your ROI for this event, including the Salesforce Success Community and Trailhead. Download the Salesforce Events app on Apple and Google Play to track your Dreamforce experience and budget your time. Amid all the planning, it’s crucial to keep a mission-first mindset. Remember that the long-term value you’re bringing to your department is necessary for planning next year’s initiatives. 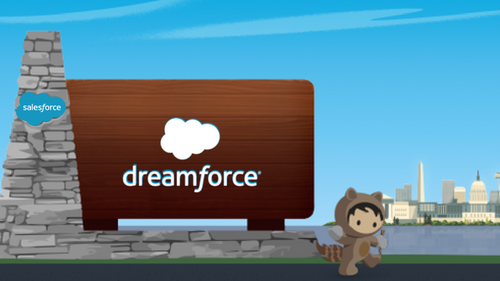 With the guidance of other Trailblazers in government at Dreamforce, you can think beyond where money should be spent today and focus on the innovation of tomorrow.